Your wish has been fulfilled. 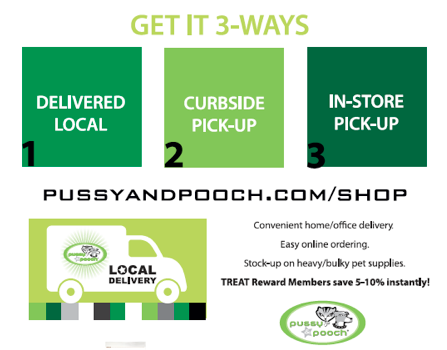 For busy pet parents on the go, we now have local delivery serving downtown Los Angeles, Belmont Shore and downtown Long Beach, making getting your pet food and daily pet essentials easy as 1-2-3! Simply place your order online and choose the option that suits you best; Local Delivery, Curbside or In-store pick-up. Click here to learn more & see our delivery zones. Try our delivery service for FREE, use promo code “getitnow” for FREE delivery of your next online order.